Jake Gyllenhaal is back on the market, y’all! Instead of plotting to sabotage his next relationship, we are putting together ideas on who his next ladylove should be. It’s the high road, people! Yoo-hoo, ladies! Jake Gyllenhaal is single yet again; let us drink Champagne! Per reports, the 33-year-old actor and his 24-year-old girlfriend, Alyssa Miller, have terminated their relationship after six months of dating. To New York, everybody! Let the Gyllenhaal hunting season begin. Who should he date next? A behind-the-scenes woman? An actress? A musician? A bartender? A ballerina? A zookeeper? We’re just spitballing here. In all honesty, we fully realize the actor will probably interbreed within the Hollywood family like most celebrities do, which is why we’ve foregone the formality of actually waiting for him to start dating and compiled a list of suitable ladies ourselves. You are so welcome, Jake! Liv Tyler is three years older than Gyllenhaal, and she does have a child, but we’re thinking these two could work it out. The pair can spend their evenings gazing into each others’ blue eyes and pondering the magic of amazing genetics. Bonus: Liv’s voice is super dreamy, and her father is Steven Tyler. Again, light-eyed beauty with dark hair… Zooey Deschanel is the reason we question the universe. She’s quirky, funny and has a wonderful voice. Oh, she’s also gorgeous. These two can frolic through New York City in vintage shoes, drinking fair-trade coffee whilst chatting about Bon Iver. They’re also the same age. First of all, she’s French. Second of all, she’s French. Third of all, she’s French. Audrey Tautou is adorable, talented, whimsical and… Oh, that’s right, she’s F-R-E-N-C-H. Jake can wander the streets of Paris, holding hands with Audrey, discussing Baudelaire whilst simultaneously nibbling on a baguette Lady and the Tramp-style. Because in Paris, anything is possible, OK? 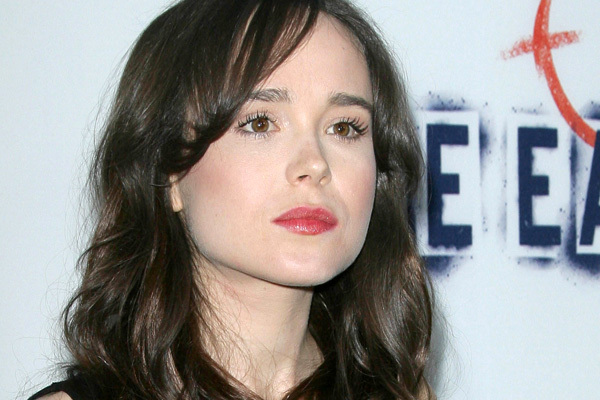 Ellen Page is Canadian; ergo she is amazing. She is seven years younger than Gyllenhaal, but who cares? She’s funny, adorable, and you could probably carry her in your pocket. They would make the sweetest couple, and don’t you dare question it. Now, excuse us while we make little collages of all these potential couples… Who do you think Gyllenhaal should pursue next (and you can’t nominate yourself! )?